If you’re looking for a modern design that gets classic results, then look no further than our Z-fold brochures. At 11”x8.5” and with 3 folded panels, our Z-fold brochures offer a design that’s similar to our Trifold, but on par with industry trends. With an up-to-date, affordable, and eye-catching design, our Z-fold brochures will help your company stand out from the crowd. 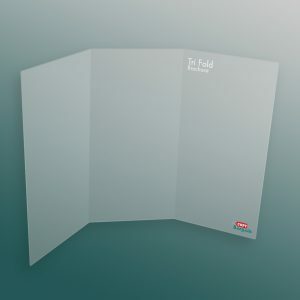 Keep up with the trends and modernize your campaign’s appeal with our Z-fold brochure printing services. 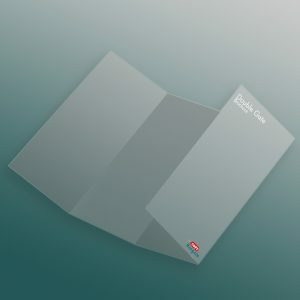 Using our full-sized, 11”x8.5” paper and printing on 70 lb Gloss Book, or 100 lb UV or Aqueous coated paper, our Z-fold brochures combine sleek design with classic results. 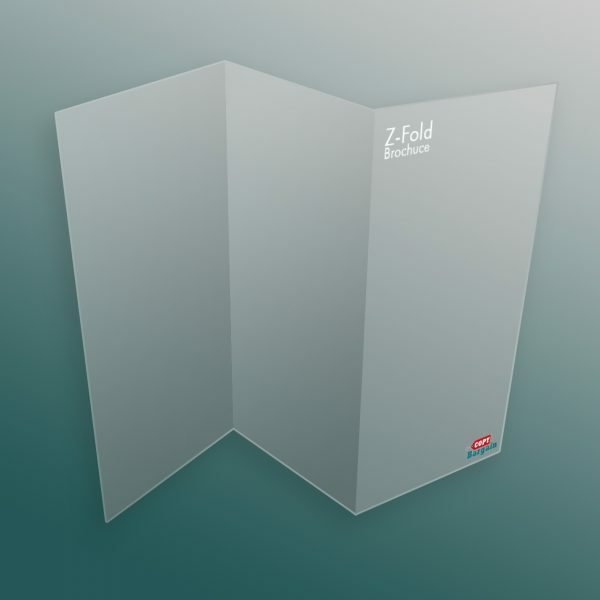 When you want to get noticed, then our Z-fold brochures are the perfect choice for you. Spacious while at the same time compact, our brochures let you put all of the important details of your company in the hands of your client. Load up your brochures with everything your potential clients need to know, including everything from company specifics and social media details, to pictures, graphics, and more. Hailed for years as a form of valuable print marketing, our brochure printing services keep your company at the forefronts of customers’ minds long after they’ve left your office. At Copy Bargain, we promise to take your business to the next level. With easy to navigate webpages, simple upload forms, and free file checks, our experts will work hard to get your business to where it needs to be.